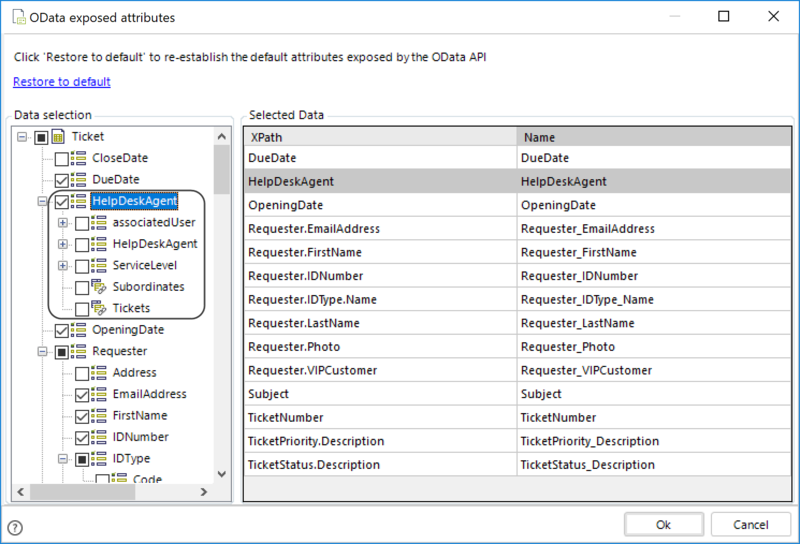 When invoking OData services, to fetch business information, you can choose which attributes are returned. 3. Processes data (cases) invocations. 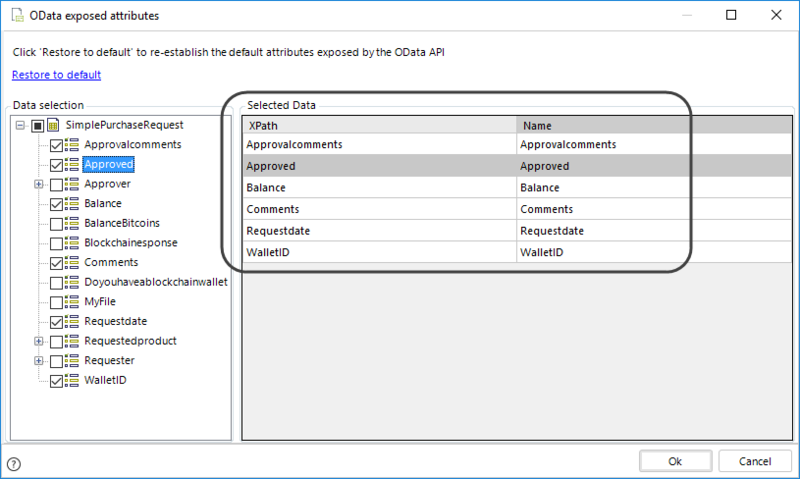 By default, returned attributes are those which have been set in the default template that shows information for an entity. 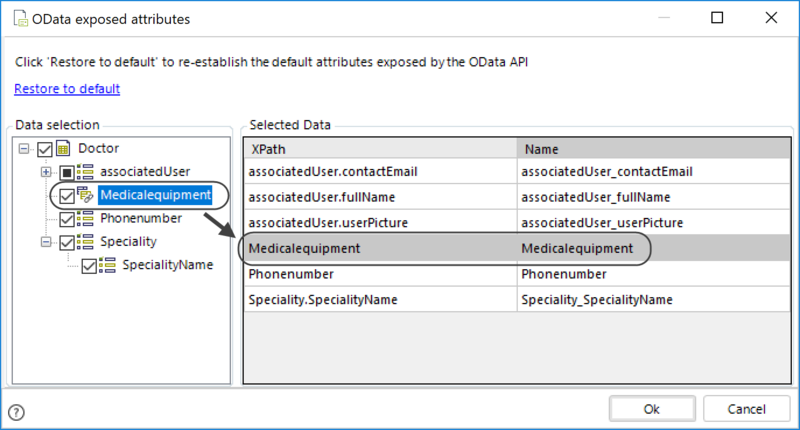 You can override those definitions by setting for each entity which information is available for OData invocations. To modify which information is returned, create a Content type template for that entity or modify the existing one, provided that there is only one set. 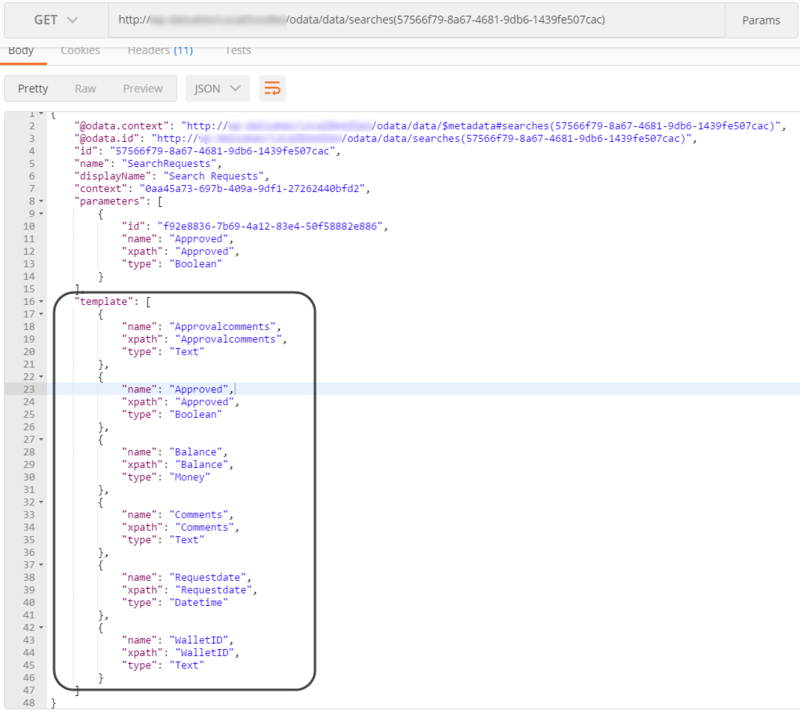 To configure a definition which overrides the template, locate the Entity holding the set of information which you want to explicitly include or exclude. 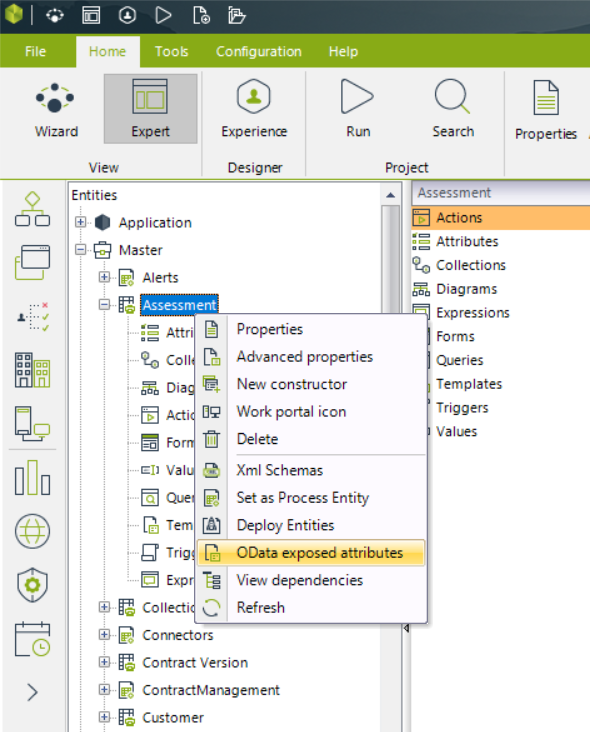 In the Expert view select Entities module, and right-click your chosen entity. In the window that opens, click Customize to change the definition of the attributes which are returned so not all of them are necessarily considered. The right panel automatically reflects Selected Data and the attributes which are chosen. You can mark any attributes you wish to include. 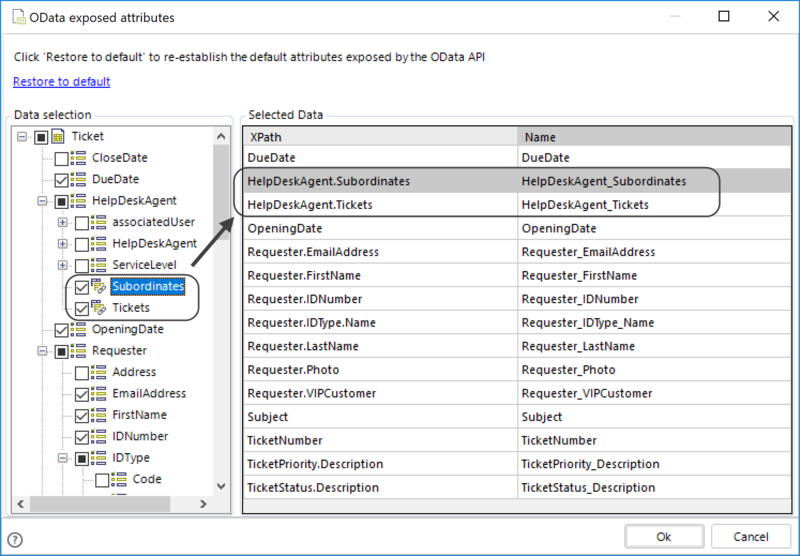 When an item in the displayed data model has sub-items, it means that the item is a related attribute pointing to another entity. The editor does not display collection attributes with their corresponding sub-items, but if they were simple data types. Collections display with this icon: . 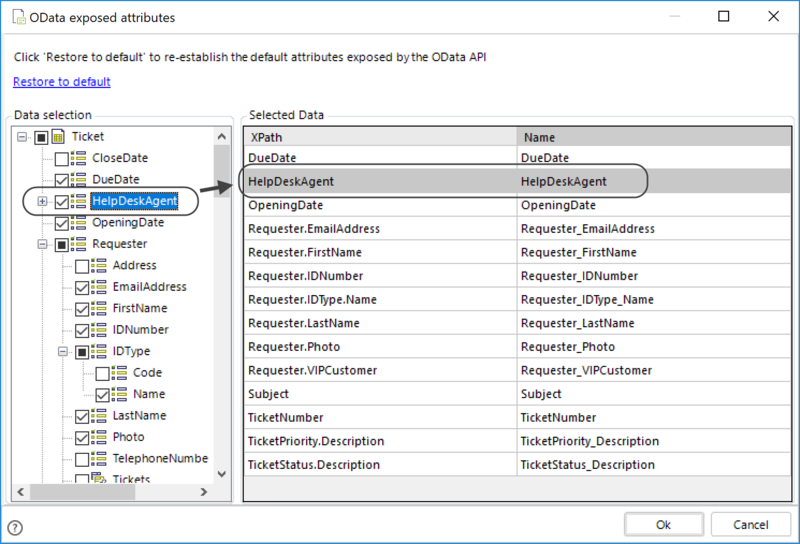 When you do this, you are including information of the related entity as a referenced link, so that you can drill down and navigate into its detail through further OData invocations. This concept is referred to as Navigations. When you include sub-items, as in the above image, you will no longer use navigations. 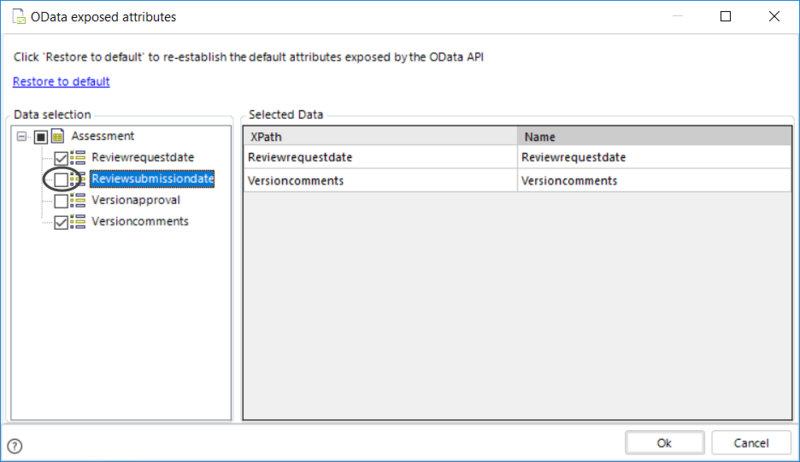 Details of the referenced entity will be fetched during the same OData service invocation and you will not need additional invocations. Collections, are always treated as linked references (and do not show their sub-items), so they require navigations. For details about how to treat referenced links and manage further invocations for navigations, refer to Navigating into linked information. 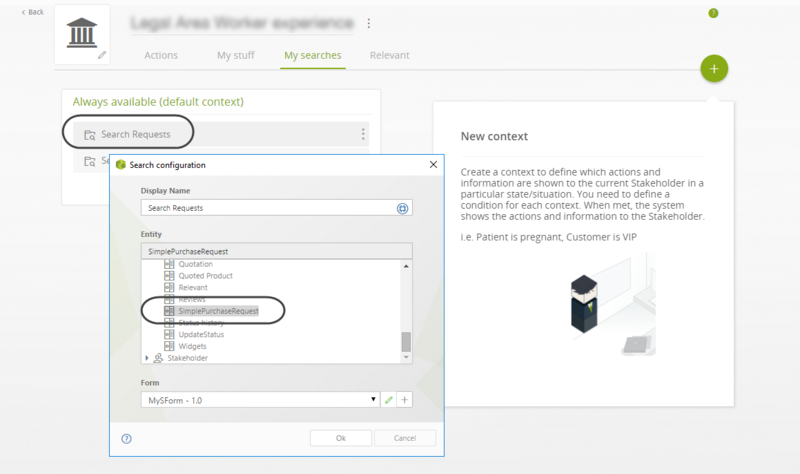 The following example shows how this configuration applies to a search of the Experience Design features. 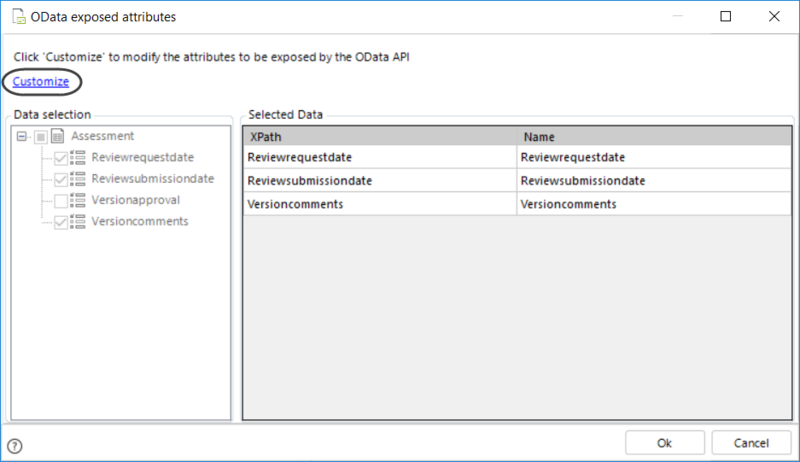 To specify exactly which bits of business information are fetched from the SimplePurchaseRequest entity, you may use the OData exposed attributes option.